now that its warmer, there are swarms of mosquitos overhead when we go out at dawn or dusk. 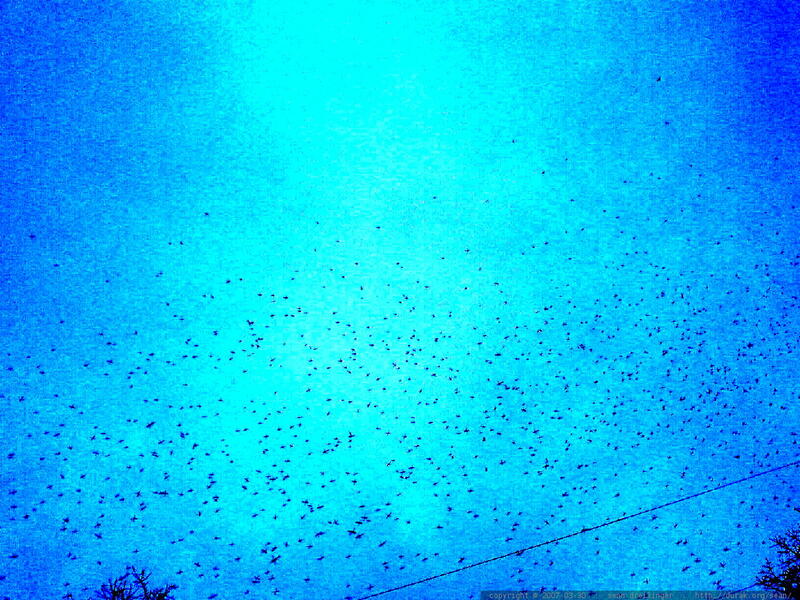 all of the black dots in this image are mosquitos hovering overhead. there were also swallows flying around and presumably feasting on mosquitos, but nothing that the cell phone camera could catch. hollibobolli: dear GAWD. WTF? am I going to click on a plague of locusts next?